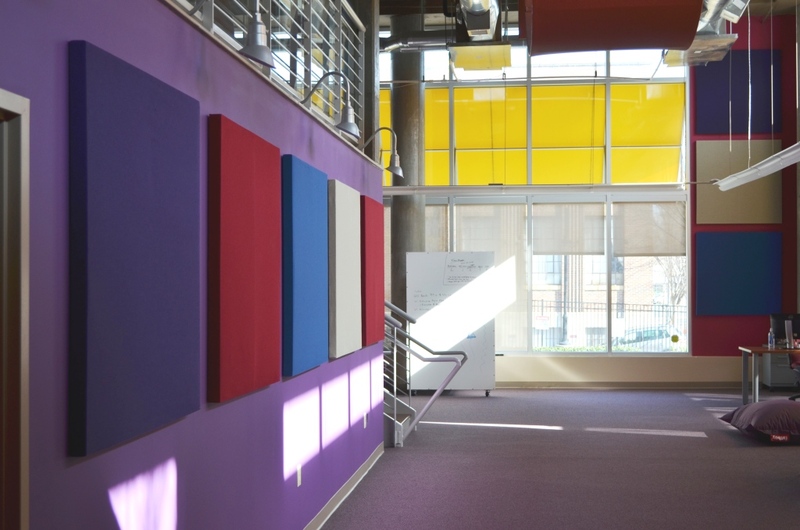 ATLANTA, GA (April 15, 2013) – GIK Acoustics today announced a new line of absorption products – The Spot Panel – which are an excellent acoustical solution for environments such as offices, restaurants and schools for controlling ambient noise. To get the best possible conditions for working, conversing, learning or healing, good room acoustics is the most important thing to create. Sound expert Julian Treasure explains, “Because of poor acoustics, students in classrooms miss 50% of what their teachers say and patients in hospitals have trouble sleeping because they continually feel stressed.” The average noise level in classrooms is 65dB. By installing acoustic treatments, that level can be brought down to a healthier threshold. The flexibility of the Spot Panel means they can be arranged in stylish designs and patterns to fit any business or home decor. 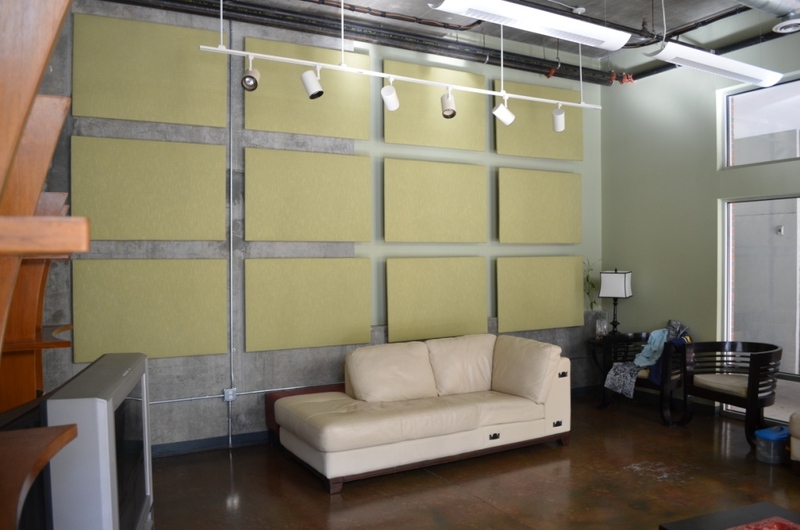 GIK Acoustics offers the Spot Panel in three standard sizes, but the Spot Panel can be custom made to any dimensions. With thousands of GIK Acoustics bass traps, acoustic panels and diffusors installed around the world and with locations in the U.S.A. and Europe, it is clear that GIK Acoustics is the #1 choice for recording studios, listening rooms, home theaters, churches, and live auditoriums. Since 2004 GIK Acoustics has provided the largest selection of highest quality products at affordable prices as well as providing clients with a professional design and support staff to achieve a quality acoustic space. This entry was posted in News, Press and tagged absorption, acoustic panel, home theatre, recording studio, restaurant acoustics, room acoustics.